about this book: A valid story line for a thriller is the hardest part for a writer. You ask yourself over and over, what do I know that could possibly be turned into a fast-paced read that would appeal to women of all ages? All I had ever done was keep my house clean and raise four children, all born within five years. But I had questions. What was it like to live near the ocean? What would it feel like to actually put yourself in danger for someone else's child? Could a friendship be that strong, especially a new one? The beginnings of my story started to spill out on paper. What about an OBGYN clinic? Seattle where my sister lives is big enough to have a large clinic and access to the ocean via Puget Sound. I traveled to see her. She graciously took me to a small unique fish market tucked away near Ballard Bridge, to the public works building, and we even rode the elevator to see the floor where homicide detectives are located. Luckily the number for their floor was absent, but I got a good feeling about how it would feel to actually go to that floor and try to explain why you should be given a baby belonging to a friend, who had been murdered. My sister drove me to all kinds of locations and I took notes. She was a trooper. I returned home with my story firm in mind. However, even with the research I didn't know how to put it on paper, so I relaxed and allowed the characters take over. They led me to strange ideas for a plot and somehow it all came together in a story. 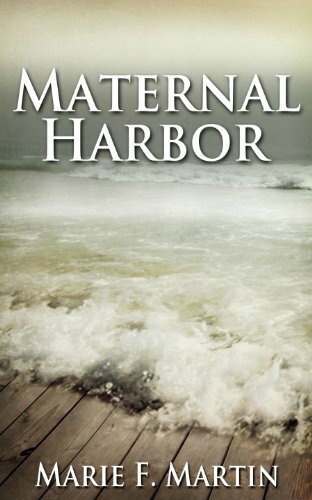 Maternal Harbor is my bestselling novel so far.